Welcome to Pellco Machine a precision machine shop located in St. Michael, MN. We have been in business since 1985 and moved to St. Michael in 1988. 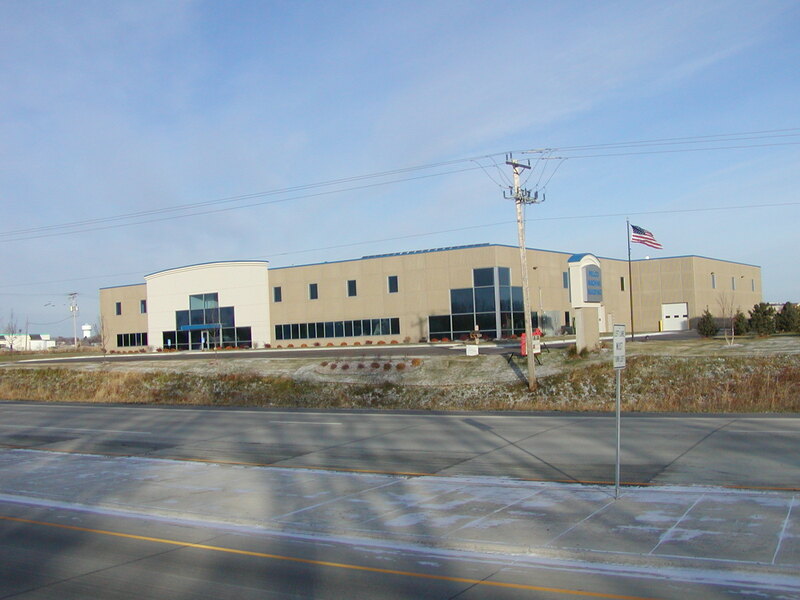 The new state-of-the-art facility shown above was built in 2006 and we took occupancy in January of 2007. Inside we have CNC machines which we use to turn and mill all types of metals and plastics to our customers specifications. On the roof there are 200 GE Solar Panels which can produce up to 40 kilowatts of power a day. This reduces our need for power from Xcel Energy by about 7%. At the time of installation this was the largest array of solar panels in Minnesota. Pellco Machine uses CNC lathes and mills to produce parts for many different industries. Some of these industries include Aerospace, Military, Medical and Industrial products. We're proud to have supplied parts that have gone into the Space Shuttle, multiple Military Vehicles including the Humvee, MRAP and Blackhawk Helicopters, paint shakers used at Walmart and Home Depot and photo electronic devices used in Disney World and many other theme parks. Need competitive pricing and quick deliveries? We've got you covered on Quality, Price and Delivery! !